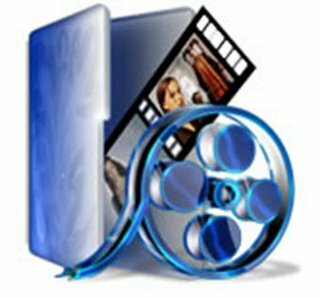 Hi friends...Today i'll tell u the easiest way to download videos from any site.You just need to have Moxilla browser installed in your PC. 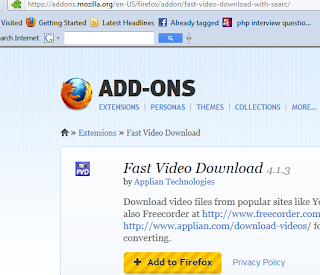 And than follow these simple steps..
2.Download and install Firefox add-on i.e Fast Video Download and Add to Firefox. 3.Restart Firefox and will see an icon will appear on the browser like this. 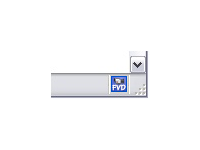 4.Now play any video of your choice and click above shown icon. it will show video that you have played than just click on it and save it on your PC. And if you like it. i know u surely will,please leave comment below. ok bye for now.I'll come again with some more amazing tricks..